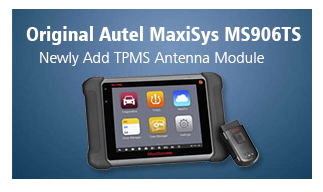 AUTEL MaxiSYS MS906TS diagnostic system and TPMS tool is utilizing the powerful Exynos 5260 6-core processor (1.3 GHz quad-core ARM Cortex-A7 + 1.7 GHz dual-core ARM Cortex-A15), an 8″ capacitive HD touch screen, and long-distance wireless communication, the MaxiSys MS906TS efficiently provides comprehensive vehicle diagnostics and analysis along with universal TPMS solutions.And it is original Autel tool,support update online,here we will introduce update and register process of Autel MaxiSYS MS906TS. 1. How to update Autel MS906TS TPMS Tool? Before update the VCI software, please make sure the Display Tablet network connection is stable. 1. Power on the Display Tablet. 2. Connect the VCI device to Display Tablet via USB. 3. Tap the VCI Manager application on the MaxiSys Job Menu of the Display Tablet. Now to update the VCI software if available. 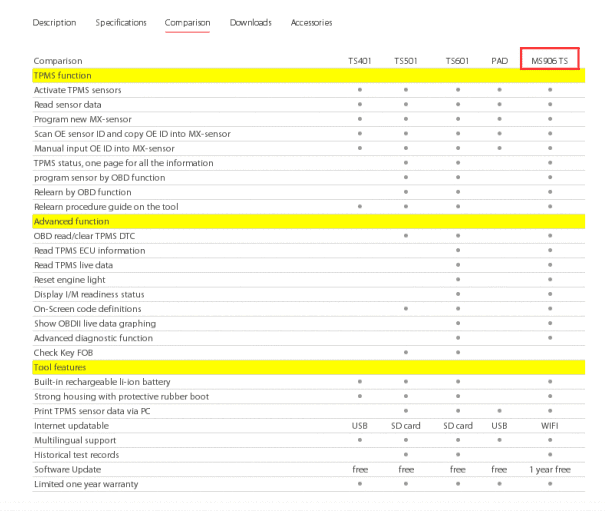 This option is available for MaxiSys MS906TS only. 2. Tap the VCI Manager application on the MaxiSys Job Menu of the Display Tablet. 3. Select TPMS from the connection mode list. Now to update the TPMS firmware if available. 2. How to register Autel MS906TS?